Ingrid tried hot yoga 12 years ago to add cross-training into her running schedule and fell in love with it. She loved the benefits of mental clarity, focused breathing, increased flexibility and muscle tone in addition to making her a stronger runner. That started her journey into yoga and group exercise. Since then, Ingrid has been trained in yoga, Pilates reformer, barre, weight training, and spin. She loves the benefits of cross-training, which is why she loves classes like yoga sculpt that can combine the benefits of yoga, Pilates, resistance training, and cardio into one fun-filled class! 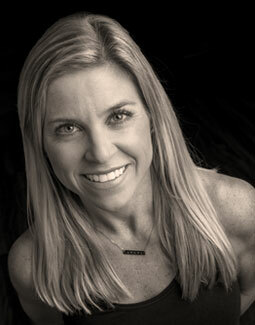 Ingrid loves to help others find their passion and abilities in fitness. Health is about finding your balance with your mind and body, and having a little fun on the journey. Ingrid lives in Olathe with her husband and three girls. She’s happiest spending time with her family and friends. Ingrid is excited to be a part of the Sumits family and looks forward to seeing you in the studio!